Golfing. Modern Family. Basketball. Nike. Mountain Dew. BBQ. Chocolate Pie. Dilly Man. Utah Jazz Fan. The Office. Titlest. Dr Pepper. ESPN. Apple. Technology. Food Network. Interior Design. Anthropologie. Baking. Peanut Butter. Working out. Food Network. Utah Jazz Fan. Jcrew. Summer Days. SYTYCD. Flip Flops. Bananas. Water. Headbands. Modern Family. "Under the plan of heaven, the husband and the wife walk side by side as companions, neither one ahead of the other, but a daughter of God and a son of God walking side by side. Let your families be families of love and peace and happiness. Gather your children around you and have your family home evenings, teach your children the ways of the Lord, read to them from the scriptures, and let them come to know the great truths of the eternal gospel as set forth in these words of the Almighty." Okay yes I was one of those people who made fun of glee. You know the ones who said that show cant be any good they just sing.... who would want to be a "gleek", better yet why do they call them selves "gleeks". Yep you can be assured that was me. Who knew that after make fun of all you "gleeks" that I would now be admitting that I am one. 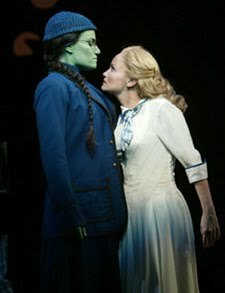 Thanks to Idina Menzel and Kristen Chenoweth who really inspired me to watch the show. I can still remember the summer in New York going to see some unknown play, "Wicked". When I was first exposed to the Broadway scene I cant say it was love at first sight but who could after seeing Mama Mia with a whole bunch of old ladies (including my own mother... no mom your not old.) dancing like they were at some Britney Spears concert. So of course I went into Wicked with the lowest expectations, you know hoping this would finally be worth anything... Well the first five minutes I remember turning to my mom and saying how amazing this play was and hoping it would never end. Anyway where this whole story is leading is that I fell madly, and deeply in love with these two fine ladies. Their voices are indescribable to say the least. So to see them both on Glee you can bet I had my doubts about turning on glee in the first place, but in my heart I knew I needed to hear their voices again. Of course once you watch it you get sucked right into it. So yes to all of you who never thought I would ever be a fan... 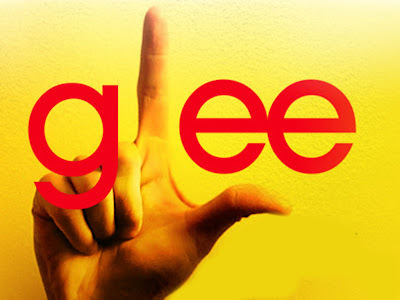 I a GLEEK!! Oh how I have to confess..... I LOVE pickles! Well.... all I can say is that we had a short break for a very good reason! We have been busy with the usual things, a trip to St.George, mothers day, moving out of our apartment, working, races, and tournaments, oh and this little tiny bug that has been bringing us so much excitement as of late..
We told our families on Mothers Day. What better gift can you get a mom then to tell her she will be a grandma for the first time or for the 26th time. I devised a plan, and a unique way to tell them so we just went with it. We blew out the yoke of some eggs and then colored them and rolled up little tiny pieces of paper with the picture of our little one on them. I then put them in small boxes and wrote on the top lid "CRACK ME". It was fun to do something that was fun for our moms and a unique way to tell them our little surprise. 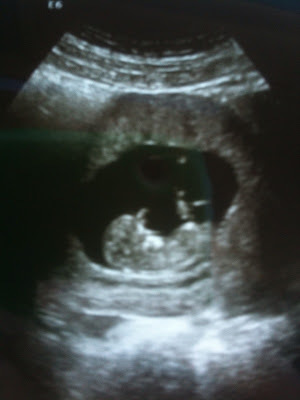 We are so excited!! Below i put some pictures of when we first found out, as well as pictures of the eggs. Rand and I finding out we were pregnant. As you can see I took four tests (really i took 6) I didnt believe them and I thought it was defective... but i kept getting the same answer. Two years ago I can still remember waking up super early, getting my hair, and makeup done. 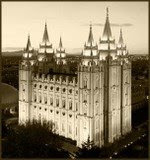 Driving to the glorious Salt Lake City Temple where I married the love of my life. The details of the day I cant say are what I remember. Being with Rand and surrounded by family and friends that loved us was so amazing! I have never in my life felt so loved, and so grateful that we both have such sweet and caring families and friends. Rand I cannot tell you how happy you have made me in these 3 years we have know each other. You bring so much happiness to my life. I still remember the look on your face the first time you saw me in my wedding dress. It was one look in which I will always cherish. Thanks for the best 2 years babe, I cant wait for the rest of eternity. Best Year of my Life! THE HEART OF LIFE IS GOOD.